These ultra comfy crocheted slippers will definitely keep your feet warm and cozy! The cool and unique design will make this pair an instant favorite. In fact, this pattern is a wonderful project for experienced beginners and intermediate crocheters looking to add unique crochet articles to their collection. 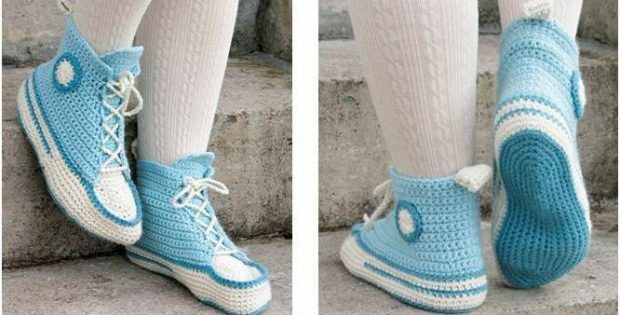 The pattern includes instructions on how to make the crocheted slippers in different sizes. This crochet pattern is another awesome design by the creative crafters over at Drops Design.